we get a lot of ice storms where I live and the destruction can be so extreme! It’s sad to lose beautiful mature trees. That must be quite frightening at times, Mimi. Here in the desert we just don’t get this kind of thing happening very often. 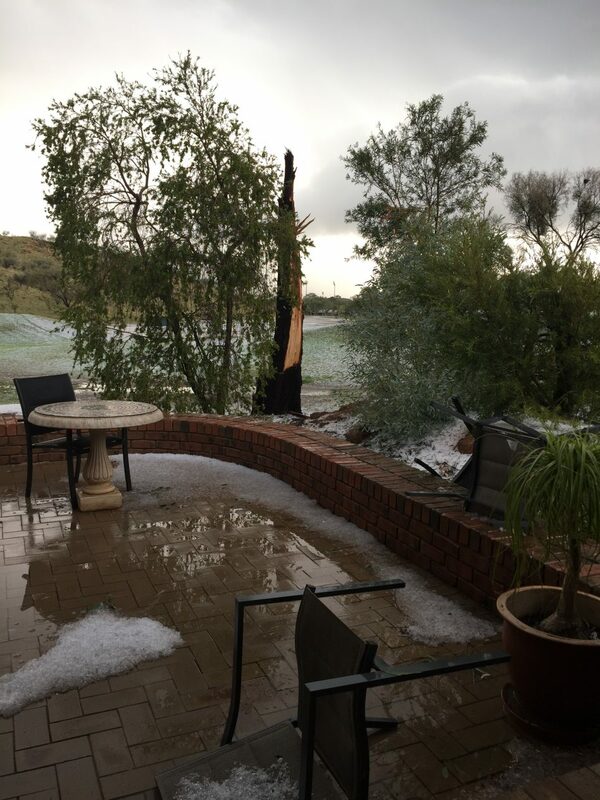 It was 20 years, apparently since the last hail storm in June and it was not nearly as destructive. I love trees. I photograph them all the time, and I loved the shade of that big tree, but it was damaged at the core, possibly lightning, before we bought this place 15 years ago, and it was just an unsteady specimen, so I’m not sorry it is gone. It did a lot of damage to our neighbour’s pool area so I feel sorry for them.